The statistics issued by the FBI on yearly crime rates were quite devastating. According to these statistics, burglaries in the United States alone caused a loss of 23.4% of the $15.5 billion that is the total property loss in crime. But a closer examination at most of these burglaries suggests they could have been prevented or stopped had security alarm systems been installed. Not to discredit the dog as an effective way of protecting your property, but truth be told the dog cannot be everywhere at the same time. A home security alarm system is better at protecting you and your property because it comes with smoke detectors, fire detectors, panic alarms, fire detectors and security sensors. Security alarm systems trigger off to notify you and the relevant authorities of anything off that may be going on around your property. So what are home alarm systems and how do they function? A home alarm system that is at-home made entails automatically activated sensors varying in range of speed. What this implies is that the alarm goes off when a door or window opens. Quite simple right! First it is well to know that all home security alarm systems function on the same principle and involve entry points of security such as doors and windows and in a similar manner, interior spaces that comprise of variables such as art and guns. 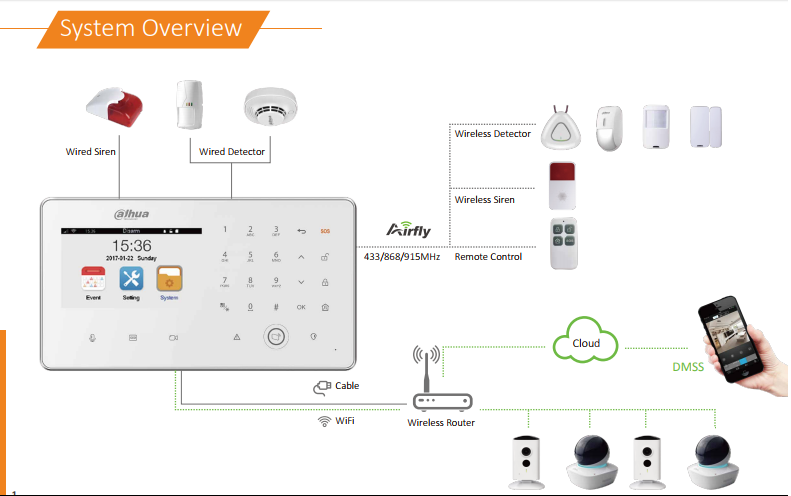 The only difference that is usually observed is the number of security components installed in the home setup and controlled by the control panel. The typical security alarm system entails a control panel that acts as the fundamental controller of the security system at home, door and window sensors, interior and exterior motion sensors, wired or wireless security cameras and a highly-decibel alarm. Also, a yard sign or window stickers are usually an additional unit. The control panel entails that computer section that ups and downs the security systems, communicate with every component that is installed and sounds the alarm in the event that a sensitive zone is breached. Door and window sensors comprise of two key components installed next to each other. One part is placed on the door or the window while the other safely installed on the frame of door or window. The two parts join together when the door or window closes and form a security circuit. The motion sensors on the other hand are the security sensors that create an invisible zone that cannot be breached without triggering the alarm sound. Surveillance cameras come in both wired and wireless forms and can be used in different ways apart from being part of the security system. Usually, these security cameras monitor distant places, remote buildings and entry points and can be remotely accessed on computers and phones or tablets. High-decibel alarms are loud enough to notify neighbours making the home security alarms act in different capacities. Their first job is to alert the people inside the houses of a potential threat. Finally, the Yard sign and window stickers are placements on the surface and are nothing more than marketing tools for the home security companies. Home security companies advise customers to use home security systems with cameras. In doing this, make sure to choose the best cameras for the job. One service these home security companies is alarm monitoring. Alarm monitoring entails the quick and comprehensive communication between the home security system and the main station of the security provider. The control panel receives a signal that it registers and transmit to the central monitoring station that sees the relevant and necessary authorities sent to one’s home. Not every security company uses the same technical specifics but as earlier mentioned, the functional aspect of the system is similar in any given home security. The centre of the network sensors is inclusive of the windows and door sensors and motion detectors as well as tamper sensors. These components carry individual roles and are connected by a signal transmission that transfers from part one to the final part. Some security systems usually come with extra features like the immediate alarms that are non-dependent on the confirmation calls or silent alarms that fail to alert intruders thus giving them the opportunity to either disable the system or run. No Contract | No Monthly Fees! 1 x Security Alarm System $695 CAD ONLY! Allow the user to be notified on mobile phone or PC if a motion is triggered. *This installed package suitable for a single story home, small shop or office.